ABSTRACT:- final year project for civil engineering.Systems for wastewater have the environmental and economic costs associated with their construction and their operations. The costs of these kinds of treatment plants vary with their location because of the specific conditions under which a treatment must be built and operated. A challenge for authorities is in selecting the most appropriate system for treatment in the given location. This requires an understanding of how competing systems will perform in a given scenario, and how variations in performance influence the associated costs. Small agglomerations in particular face unique challenges during system selection. These are often rural communities where access to resources and wastewater treatment expertise may be minimal, or come at a higher cost. It is, therefore, evident that appropriate system assessment tools are required to assist in the selection process. The main objective of this research work is to present a method to assess the performance of the system under the changing conditions and elucidate the tradeoffs that can occur between capital and operational costs, environmental impact categories, and ultimately between the overall economic and environmental costs. A review of the literature has determined that the life cycle approach provides a holistic understanding of the actual cost of system implementation. A decision support tool that integrated both frameworks was developed to facilitate system analysis in user-defined, site-specific scenarios. Life cycle inventories were compiled with data gathered from a selection of wastewater treatment plants, and from life cycle evaluation process datasets. The life cycle cost data were compiled from a variety of academic and industry sources. To assess the methodology, ten wastewater treatment systems were evaluated under a range of predetermined site-specific scenarios that varied in scale, loading, discharge limits, and method of sludge disposal. In general, system analyses showed that treatment systems with the capacity to mitigate energy and chemical consumption exhibited more favourable economic and environmental life cycle profiles. The methodology which has shown the utter significance of conducting system assessment from a life cycle perspective and highlighted system processes and components that provide the greatest potential for system enhancement and cost savings. This chapter begins with the rationale for the systems that were included in the study. Details of the LCA and LCCA methods and procedures adopted for the study are then provided. The system assessment methodology and framework presented in this study has universal application. However, for the purposes of demonstration, data availability and acquisition, it was determined that the systems selected for the study should be based on the systems most commonly found on the island of Ireland. A survey was conducted of the 538 registered WWTPs in Ireland (sourced: EPA, 2015). Suspended growth systems are the most common system type found in Ireland, accounting for almost 60% of all systems. Of this percentage, CAS systems account for over 36%, with EA9, SBR, IFAS, and MBBR making up the remainder. Attached growth systems (excluding hybrid IFAS and MBBR systems) account for less than 10%. Bio-filter, PFBR, and MBR systems collectively account for just over 1%. One of the most significant challenges faced when conducting a LCCA or LCA is the quantity of data that is required. Where sufficient inventory data could not be acquired, or it was felt that the quality of data was such that it compromised the fairness of comparison, or the overall quality of assessment, the system was omitted. Modelling practicality applies specifically to ICW systems. The value and objectives of ICW systems are not limited to wastewater pollutant removal. There are several significant qualitative properties that are difficult to include in numerical steady-state system models such as the provision of diverse ecological habitat, or public amenities. These are properties that are better captured with CBA or WLCC models that include externalities and indirect costs. The implementation of an ICW can depend on the potential of the surrounding landscape to provide a platform to achieve these objectives. Furthermore, it is difficult to put a ‘per capita’ area on such a location specific treatment system. However, it was concluded that a natural system should be included in the analysis to demonstrate the associated economic and environmental benefits. It was considered that a HF-VF hybrid CW would provide a system that could be practically modelled based on the review of the literature. The preliminary LCA study provided the basis for the DST LCA model. The findings of the study have identified the relevant resource and emissions inventory that is responsible for the greater percentage of the environmental impact. The methodology and LCA framework remains the same, as do the majority of the upstream and downstream inventories. Many of the differences encountered relate to the systems that are included in the model. The preliminary LCA study was limited to the evaluation of activated sludge based systems, whereas the DST model includes natural, attached growth, and hybrid systems that have different forms of energy input, oxygen transfer mechanisms, aerial emission factors, sludge quantities and concentrations. However, the key difference between the interpretation of the LCA results provided by the preliminary study, and those that are produced by the DST is that the estimations of energy and resources in the DST model are based on first principle calculations that may not capture all of the efficiency losses experienced in a real life. 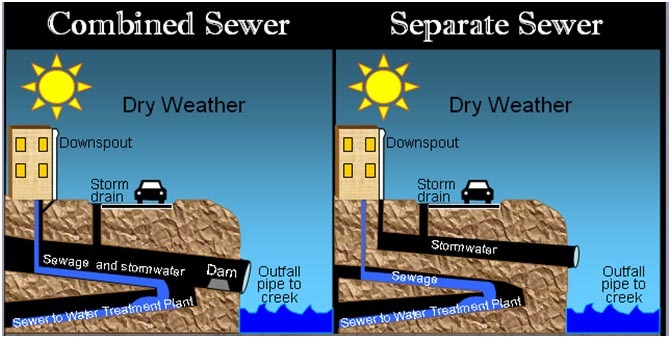 In essence, the results that are provided by the DST model represent the impact from the operation of an ideal wastewater treatment system. To provide an LCA model as part of a DST for the selection of small wastewater treatment systems. Lundin et al. reported that the impact from the construction phase of the WWTP life cycle becomes more significant at small scales. The study conducted by Machado et al. on a small activated sludge plant (500 PE) found that for most of the considered impact categories the construction phase accounted for around 20% of the total impact. While it is conceivable that the differences in the magnitude of the construction phase contribution to the overall impact could be considered negligible for electro-mechanical systems, the same study found that the construction phase of CW systems accounted for as much as 80% in some categories. However, without a detailed LCI for each system, any estimations of the percentage contribution of the construction phase to the entire life cycle are prone to uncertainty. Therefore, only the impact from the use phase of each system is considered in the life cycle impact assessment. Estimations of GHG emissions produced by constructed wetlands are based on the study conducted by Søvik et al. . The study determined the net CO2 and CH4 emissions for HFCW (3.8 g CO2/m2, 0.17 g CH4/m2) and VF-CW (8.4 g CO2/m2, 0.055 g CH4/m2) systems. As a simplification, the CO2 output the HF-VF hybrid CW system is the aggregation of the two emission factors which yields 0.23 kg CO2, equiv. /m3 of treated wastewater based on an average active surface area of 7.44 m2/PE. The CW CO2 emissions are 24% lower than those of the electro-mechanical systems at 0.3 kg CO2, equiv. /m3. As a simplification for quantifying GHG emissions, Monteith et al. considered CAS and attached growth systems to have similar GHG emission rates. It is difficult to determine without further investigation whether similar levels of emissions would occur during the biological process in attached growth and suspended growth systems, or at least be within a small enough range to be considered negligible for the purpose of LCA system comparison. It is conceivable that microbial activity (cell lysis and synthesis) would be similar in both system types, and this would produce relatively similar GHG emissions. Until further data becomes available it is assumed in this study that GHG emissions are similar for both system types. Specific salary scales (also location dependant). Empirical labour cost data were unavailable for systems in Ireland, either in terms of hours, level of expertise, or specific salary. The specific salaries (€/hour) are not a critical issue as values can be user-defined for regional variation. The values that are in included in the study have been gathered from various career and job websites. Expertise level is difficult to quantify with any direct numerical traceability, and is often weighted simply as low, medium, or high. However, it is difficult to relate these types of indicators to an exact level of profession, and associated cost. The approach adopted for this study is based on the report published by the New England Interstate Water Pollution Control Commission (NEIWPCC) . The data in the report were gathered from a survey of 50 WWTPs of varying system and scale. The report details the hours spent per year on individual components and unit processes for a given system. The hours are given as a function of discrete plant scales: 0.25 MGD (1136 m3/d), 0.5 MGD (2273 m3/d) and 1 MGD (4546 m3/d). Values for hours spent on certain unit processes that are used in the report are constant with scale and may not reflect the hours required for very small systems (< 90 m3/d). However, it should also be noted that not all O&M tasks will vary with scale. For example, the time spent maintaining a foul pump for a 1,000 PE plant may not be much less than the time spent maintaining a foul pump in a 2,000 PE plant. Therefore, it is reasonable to assume that some tasks will remain close to constant with plant scale. For O&M elements that vary with scale, linear regression models for annual labour hours as a function of flow rate were developed from the data provided in the report and extrapolated to cover the plant sizes considered in the current study. Labour type is divided into four categories: operator, maintenance, laboratory, and helper/yard-hand. It is assumed that maintenance on motors, pumps and other electro-mechanical equipment are carried out by an engineer. There are inherent difficulties in assigning specific salaries to each labour category. Salaries will vary between the public and private sector, location, and with different levels of experience. A methodology to assess the economic and environmental costs of small WWTS implementation has been presented here. It was determined through a review of the literature that the best approach was to evaluate these costs from a life cycle perspective, because this is the most effective way of understanding the true cost of system ownership. Environmental LCA and economic LCCA were determined to be the most appropriate assessment tools to achieve this objective. Many of the specific cost and emission factor data used in the methodology are specific to Ireland; however, the framework has universal application and any Ireland-specific data can be replaced with data specific to any given region. The dual assessment methodology presented here is based on the assertion that much of the environmental and economic cost can be attributed to process flows common to both cost types, namely; energy, chemicals, and sludge disposal. Therefore, quantifying these flows along with the other flows unique to LCCA and LCA such as labour and process emissions respectively provides a solid basis for system assessment and comparison. The adopted procedure and findings from the preliminary LCA study provided the basis for the DST LCA model by determining suitable boundaries, assessing potential functional units, identifying the key system inputs and outputs, and determining some of the Ireland-specific emission factors such as the average heavy metal concentrations in final effluent discharge and sludge. The critical difference between the preliminary LCA study and the DST LCA model is the processes flow data (energy, chemicals, and sludge), from the perspective that the first study is empirically based whilst the second is mostly theoretical. The most significant aspect of this is that the theoretical specific energy consumption values are lower than those recorded at the various plants. A more detailed discussion on energy is presented in the next chapter. Additional emissions, not relative to the preliminary study, were included in the DST LCA model. The aerial emissions from CW systems were estimated from literature sources, and the aerial emissions from attached growth and hybrid systems were assumed to be similar to those of suspended growth systems, but with the assertion that further investigation is required to assess the accuracy of this assumption. The LCIA methodology selected for the preliminary study was considered to be the most suited to the DST LCA model, but there is a general acknowledgement that in order to improve the value of the LCIA, a greater level of site-specific parameterisation is required. The LCCA model described in the methodology follows tried and tested procedures that facilitate variations in energy and OPEX discount rates, system depreciation and lifetime. One limitation of the study pertains to the lack of a detailed CAPEX inventory. This effects estimations of the replacement parts cost and maintenance regimes. This is not a weakness of the methodology, but rather a constraint due to a lack of available site-specific data. The data limitation also has consequences for the LCIA as it is known that the construction phase of the environmental life cycle is of greater significance for small wastewater treatment systems. Wastewater treatment accounts for over 1% of the total energy consumed in most of the developed world, and as much as 3% in the U.S. . It is expected that the increase in global population combined with more stringent discharge regulations will see these figures increase in the coming years. Energy use is a central theme in both the economic and environmental cost assessments of most types of wastewater treatment system. Specific energy use can vary significantly depending on scale, system type, desired effluent quality, and site-specific conditions. From an economic perspective, energy consumption can account for a significant percentage of the overall cost of operating a treatment plant. In Europe, values of WWTP energy consumption can vary widely from state to state, and within a state. In Central and Eastern Europe, the cost of water and wastewater management attributed to energy use can be as high as 70% of total operating cost (Appendix D.1) . The cost of energy becomes more significant as WWTP sizes decrease and the specific energy use per volume of wastewater treated or mass of substrate removed increases. Results from energy auditing of the electromechanical systems in the preliminary LCA study indicated that plants below agglomeration sizes of 2,000 PE tend to exhibit an exponential increase in specific energy use as the agglomeration size decreases. Constructed wetlands are an exception to this as the relationship between agglomeration size and specific energy use generally tends to remain linear. From an environmental perspective, the preliminary LCA conducted in this thesis determined that energy consumption is one of the main contributors to the overall environmental profile of a treatment plant. This finding is consistent with similar published studies [151, 156, 175, 204]. It should be stated, however, that the magnitude of environmental impact from energy consumption is as much a function of how the energy is produced, as quantity consumed. European Union member states with strong renewable energy programs such Norway, Iceland and Austria will generally have a much lower environmental impact because of energy consumption than states such as Hungary, Luxembourg and Malta. It is difficult to suggest an average energy value that represents wastewater treatment as a whole because of the multitude of wastewater treatment parameters that influence energy consumption. System type, scale, climate, geography, topography, hydraulic load, organic and inorganic load, discharge limits, expertise availability, sludge management options, and plant design can affect the quantity of energy use. The type of treatment system will have varying degrees of influence on the amount of energy consumed, and how the energy is distributed across a system. The preliminary LCA study identified aeration as being the primary energy sink in suspended growth (activated sludge) systems. The energy use attributed to aeration can range from 30 – 75% of the total energy consumed at a treatment plant depending on the desired final effluent quality . Oxygen transfer efficiencies (OTEs) of many of the submerged diffused aeration systems are generally quite low due to the large percentage of oxygen that is lost into the atmosphere. Surface aerators such as those used in Orbal ODs have even lower OTEs, but these types of aeration systems are slowly being phased out and replaced with submerged diffusers as the emphasis on energy efficient systems increases. Unlike suspended growth systems where oxygen is delivered to the microbial population; attached growth systems such as TFs and RBCs deliver or expose the microbes to atmospheric air. The primary energy sink in trickling filter (TF) systems is the pumps that are used to elevate and distribute the wastewater over the growth media. The motors that drive rotating RBCs are responsible for most of the energy consumption in these systems. Proponents of attached growth systems will often refer to the reduced energy consumption when compared with suspended growth systems. 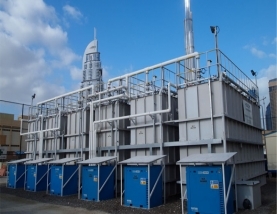 However, savings in energy costs are often achieved at the expense of some other aspect of plant performance, or other cost components elsewhere in the system. For example, trickling filter systems are reported to have lower specific energy consumption than activated sludge systems . However, trickling filters in isolation are limited in the level of effluent quality that can be achieved , specifically when nutrient removal is required. Similarly, RBC systems can achieve high BOD removal efficiencies with minimal energy input, but to achieve nitrification several more stages are necessary in the RBC train, which requires additional motor power. Natural treatment systems such as constructed wetlands (CW), reed beds and waste stabilisation ponds are low energy input systems. Some of the smaller natural systems can be considered ‘zero energy’ systems13. However, depending on topography, some degree of pumping may be required to elevate influent. Some constructed wetland systems may incorporate preliminary treatment and some degree of sludge pumping that would require low levels of energy. Aerated lagoons can be energy intensive but there is a reduction in CAPEX because aerated lagoons can be built deeper than other natural systems, which reduces the surface area requirements. Discharge limits will affect energy consumption in different ways depending on the type of system being employed. In general, lower limits equate to an increase in energy for conventional suspended and attached growth systems. Each additional substrate type that is required to be removed introduces the potential for an increase in energy consumption. It has been reported that ammonia removal can be responsible for up to 50% of a plant’s total energy consumption . A denitrification limit will require additional energy for mixing and nitrate return pumping; and depending on the type of system, a phosphorus limit may require chemical dosing pumps, and produce over 30% more sludge that has to be pumped, thickened and dewatered. In addition, lowering the limits of BOD removal will increase energy consumption. The specific energy (kWh/kg BOD removed) required to remove 90 – 99% of BOD is much greater than the energy required to remove 0 – 90% (Figure 5-3). As mentioned previously, the addition of a nitrification limit in an RBC system will require additional stages in the train. As the ammonia limit is reduced more stages are required and thus, more energy is consumed by the motors. In general, an increase in a substrate removal requirement equates to an increase in energy for most types of treatment system. Systems energy use has been calculated with varying degrees of complexity. At the most basic level, energy values for some of common unit processes (inlet screens, mixers, sludge dewatering units) will vary with flow-rate, or organic loading only. These units are low energy consumers and in some cases account for less than 1% of total plant energy-use. There is some evidence of economies of scale with certain unit processes; however, the values only become significant over a larger scale-range than the one used in the current study. Energy sinks such as pumping and aeration account for a greater percentage of a plant’s total energy use, and require a higher degree of parameterisation for calculation. Methods for calculating energy use were adopted from a number of sources to account for a range of site-specific variability. Considering the plants scale range adopted for the study, it is assumed in all scenarios that anaerobic digestion is not economically feasible. Wastewater pumping can account for up to 15% of total WWTP energy use . Energy consumption values for pumping can vary depending on a number of factors such as sludge characteristics, pump and motor efficiencies, plant size, age, design and layout, topography, and type of secondary treatment. Certain pumping functions such as influent pumping will have similar energy use values across all systems in a comparative analysis, and there is an argument that system boundaries should be adjusted to exclude them. However, their inclusion allows for the compilation of a complete energy distribution profile in the case of a stand-alone system audit. The type of secondary treatment in particular will dictate to a large degree, the percentage of energy consumption attributed to pumping. Pumping is the primary energy sink in TF systems. The TF process requires a minimum amount of wetting in order to maintain microbial population and avoid insect and odour problems on the surface of the growth media. This means that the process must be continuous, and even with minimum wetting rates the dynamic head required to maintain distributor arm motion in hydrostatic systems can be significant. In CAS plants, RAS pumping energy can account for 1% of total plant energy consumed , which equates to 15% of total pumping energy. Extended aeration systems produce less WAS than the CAS systems with shorter solid retention times, which reduces both pumping in the WAS lines. However, these values are generally low (~ 0.3 % of total pumping energy) when compared with other unit process pumps in conventional systems. The size of a WWTP can be linked to pump efficiency. Firstly, there are energy economies of scale to be achieved with increased flow-rate as frictional head-loss decreases with increases in pipe diameters. Secondly, small wastewater treatment systems can experience much greater variations in flow-rate compared with larger systems (Figure 5-6) . The magnitude of these variations is amplified during storm events. Maximum efficiency on the pump performance curve falls within a narrow band on the flow-rate axis. When flow-rate experiences large fluctuations the pump spends more time away from its maximum efficiency value. Variable frequency drives can act to counter this effect, but from personal communication with WWTP operators, management and other professionals in the field, the uptake of this practice is often overlooked due to capital restraints. Maintaining high wet-well levels is a control strategy that can be used to maximize pump efficiency at a plant. However, this process can lower fluid velocities and result in unwanted solids deposition, and can also reduce the reserve capacity of the system. The energy consumption of the rotary drum fine screen used in the EA and OD systems varies depending on flow-rate. The motor power of the smallest model reported by  is 0.244 kW for a maximum capacity of 502 m3/d; above this flow-rate, the power increases to 0.56 kW for a capacity of 1794 m3/d. With sufficient wet-well capacity and control of inlet flow, the energy demand can be maintained between 0.01- 0.03 kWh/m3. It is assumed that mechanical mixing is required for systems that employ anoxic or anaerobic zones. It is assumed that all mixing is carried out by mechanical means. Sludge thickening mixing energy is included in the average values used for the individual process units. Power values for anoxic and anaerobic zone mixing are calculated as a function of liquid volume (5 kW/103 m3). RBC system energy requirements are dominated by the power required for shaft rotation. Shaft rotation energy demand is a calculated as a function of the required disc surface area. A linear regression model was developed based on the study carried out by Gilbert et al. Model validation for activated sludge system energy use of was carried out with energy data collected during energy auditing in the preliminary LCA study. The system type, discharge limits, and design loads were matched accordingly. Good correlations were observed for agglomeration values greater than 2,000 PE. A significant increase in error between model and empirical values was observed for plants below 2,000 PE, which ranged from 3% at 2,000 PE to 25% at 500 PE (Figure 5-10). This indicates that the models are not reproducing the negative scale economies observed with the empirical energy values. The steady state assumption made for the models does not capture the energy losses that occur due to the variation in flow rates, which can be significantly larger for small systems. The model does not assume that VFDs are employed to mitigate the effect of variation in flow-rate, and so higher values could have been expected, particularly with the low pump and motor efficiency values that were used. In reality, VFDs may be overlooked because of CAPEX restraints, with operators prepared to accept some given level of energy loss to reallocate capital for issues that are considered to be of greater priority. Unit process start-up and shut-down energy losses were assumed to be negligible for small plants, but this assumption may require further investigation. Small unmanned systems may lack adequate monitoring and control, and as a result may be operated at elevated DO levels as an additional safety precaution to avoid discharge limit breaches. The plants that have been used to validate energy estimations are old systems nearing the end of their lifetime and may suffer from overloading and inefficient plant design and configuration. The accuracy of the DST energy models for systems below 2,000 PE needs to be determined with a) more modern state of the art systems, and b) a much greater sample size of systems to compare against. Reliable data were not available to carry out validation of attached growth total system energy use. However, the only energy sink unique to the RBC system is the disc motor energy which is based on empirical data, and, therefore, deemed to be an appropriate representation of actual RBC energy demand. Similarly, primary effluent pumping and distribution over growth media is the only energy sink unique to the TF system, and the estimated values are considered to be within an acceptable range. Natural systems energy use was limited to influent rising. The objective of this chapter is to evaluate the economic and environmental performance of each system in a given scenario by applying the methodologies described in the previous chapters. Systems analyses are carried out through a series of 72 predetermined scenarios that vary with scale, loading, discharge limits, and sludge treatment option. It is assumed in all scenarios that each system has been designed to an optimal standard that limits energy and resource inefficiencies. It is also assumed that the treatment plants are being operated efficiently and that appropriate maintenance schedules are being followed. It should be noted at this stage that the specific costs used in these analyses may vary considerably with location. As mentioned previously, specific cost elements such as energy, chemicals, labour and sludge disposal are soft coded in the DST to allow for regional variation. The analyses that are presented here are intended to demonstrate how a systems economic and environmental performance changes with variations in site-specific conditions, and the importance of considering costs from a life cycle perspective. It is not the intention for the results of these analyses to be a determining factor for any future WWTS selection. The International Water Association (IWA) specialist group on small WWTPs has defined small plants as those serving agglomeration sizes of below 2,000 PE, or processing influent flow-rates of below 200 m3/day . In Ireland, the requirement to obtain a discharge license applies to WWTPs above 500 PE. Therefore, the variations in scale considered for these analyses are examined in three discrete intervals: 500, 1,250, and 2,000 PE. Henze et al. 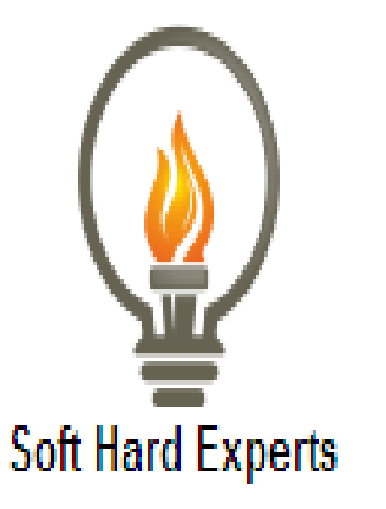 describe high, medium, and low loading. However, based on water quality analysis from the preliminary LCA study, the high loading described here seems unlikely to occur very often. This may relate to the Irish climate, or there may be extensive infiltration in many of the sewer networks. Regardless of the cause, the more probable range of loading is between what are defined here as ‘medium’ and ‘low’, and these are the loading magnitudes that are used in the system analyses. The terminology used to describe loading from this point forward is ‘high’ and ‘low’. Discharge limit variations are classed in four discharge limit (DL) band. The values included in each DL band are chosen for the purpose of demonstrating the effect of the gradual introduction of a new pollutant removal requirement. In reality, it is rare that there would be a nitrogen limit and not a phosphorus limit. However, it is considered that the limits presented here are adequate for the purpose of demonstration. Band ‘A’ is a BOD removal only limit14, and is the least stringent set of limits that are generally found in coastal area WWTPs that discharge their final effluent to the sea. Moving down through the bands, additional substrates and the level of removal builds gradually. Total phosphorus (TP) was not included because a TP limit does not require any additional unit processes or mechanisms not already included for PO43 removal, unlike the addition of a TN limit that can require the addition of a pre or post anoxic zone, additional pumping, mixing, and monitoring. Systems that are deemed excessive for a DL band are excluded from the analyses. For example, DL bands 1 and 2 do not have a phosphorus removal requirement, and therefore, the AAO system is not considered in the analyses of any of these scenarios. Similarly, the EA and AO systems are not considered for any scenarios that do not have an ammonia limit. The purpose of including different sludge treatment options is primarily to assess the economic consequences associated with a given treatment option. There are three sludge treatment options included in the systems analyses. Option 1 involves sludge treatment with a Volute all-in-one thickening and dewatering unit with polymer and lime addition. The sludge is then removed from the treatment plant site for application to farmland at a cost of €60/m3 [specific cost sourced from personal communication]. 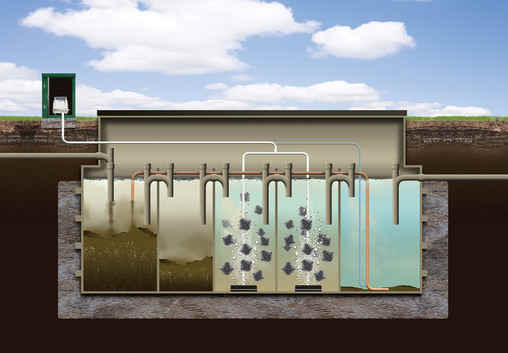 Option 2 involves sludge storage with no treatment and removal from site by an external contractor at a cost of €75/m3. Option 3 is the employment of sludge drying beds with lime addition for stabilisation and final removal by external contractor. The CW system is assumed to employ option 3 in all scenarios. In all three options, the final terminus is assumed to be farmland because this reflects the most common sludge disposal practice in Ireland. There is scope in future works to include a greater range of disposal options in the DST such as composting and incineration, and include different on-site sludge treatment technologies. However, for the purpose of demonstrating the effect on cost, the three options included here are deemed to be sufficient. The WWTP scale range adopted for this study is subject to trade-offs between sludge treatment capital and operational costs. It is postulated that for a given system in a given scenario the economic feasibility of investing in sludge treatment equipment will vary because of the different volumes of sludge that are produced. Sludge production will also vary with changes in discharge limits. For example, WWTPs that have a nitrification requirement may produce less sludge due to extended solid retention times. Conversely, WWTPs with phosphorus limitations may produce more sludge as a result of chemical precipitation. It is, therefore, necessary to assess the influence of varying conditions on the volumes of sludge being produced and the effect that this has on the life cycle costs. Although much of the focus centres on economic cost, there are some environmental implications associated with the choice of sludge treatment option. The most significant environmental impact from sludge disposal is the heavy metal and nutrient deposition in the soil. The LCIA methodology used here determines that the nutrients spread on land could leach into the watercourse and provide the potential for eutrophication. However, there are regulations regarding the proximity to watercourses that nutrients can be spread in order to mitigate risk. Therefore, it can be assumed that the greater risk is the potential for terrestrial toxicity from the metal concentration in the sludge. It is assumed that the reduction in volume achieved by dewatering acts to increase the concentration of metals in the sludge that is being applied to the land. In option 2 it is assumed that the metal concentrations will remain the same from removal from site to final application to land. The level of sludge treatment undertaken by the external contractor is unknown. There may by some dewatering, or sludge bulking applied, which in either case would affect the metal concentration in a negative or positive way respectively. However, without details of the treatment process that occurs after the sludge leaves the site, any assumptions of metal content are merely speculative. The drying beds provide the best alternative to reduce the toxicity risk from heavy metal concentration. The magnitude of AP is influenced by the sludge disposal option. The contribution to AP from sludge transport is higher for option 2 where the volume of untreated sludge being transported is greater. The difference in the magnitudes of AP between sludge disposal options remains largely consistent for attached growth systems as the discharge limits become less stringent. For suspended growth systems there is an increase in the difference between magnitudes as the SRTs are reduced and sludge volumes increase. The SBR system is not as sensitive to the reduction in SRT as are CAS based systems because of the higher DSC that is produced. The main objective of this research work is to provide everyone with a method and framework to evaluate the economic and environmental costs of small wastewater treatment systems from a perspective of life cycle. As Postulated that the variations in the site-specific conditions would influence the economic and the environmental performances of the systems in other different ways. Each system must be evaluated under these conditions in order to assess the performance and ultimately their suitability for the implementation of the systems. As postulated that during the efforts for the reduction of the eutrophication potential, other impact categories like impact potential id often increased. Therefore, reallocating environmental impact both regionally and globally. 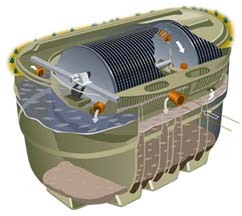 The primary energy sinks in the WWTPs were the aeration blowers used in the secondary treatment. The potentials of the impact categories dominated by the energy consumption are heavily influenced by the national electrical grid mix. Plants operating in nations with high levels of fossil fuels in the electrical grid mix may exhibit a higher GWP than a plant with similar energy consumption rates operating in a nation with a greener electrical grid mix. Care should be taken while making comparisons internationally. Energy consumption is the central contributor to the environmental profile of the studied plants. In that, it contributes up to 8/11 LCIA categories in varying degrees. Impact categories are dominated by the energy consumption which were generally of a more global nature. The organic load rate had the highest influence on the consumption rate since it is directly related to the oxygen demand and subsequently the required aeration power method. The effect of the variation scale was inconclusive. While there was some evidence of environmental economics of scale between the largest plant and the others, the largest plant also had the least stringent discharge limits, which makes it difficult to identify the exact source of any economy. On reflection, it would have been more prudent to have included another coastal plant with similar site – specific conditions at a smaller level. Life cycle assessment was found to be a suitable tool for WWTP environmental assessment. The holistic nature of the methodology accounts for many of the upstream and downstream processes does not include any other assessment methods. In many cases the upstream and downstream processes have proven to be the largest contributor to certain impact categories for example, the contribution of energy to GWP. The effect of the variation in the discharge limits was most evident between the BOD removal only plant and the plants required to remove the nutrients. The primary source of EP at the BOD removal only the plant was the final effluent discharge, while the sludge application to land was the primary source of EP at the freshwater plants. The use of ferric chloride was to remove the phosphorus at the freshwater plants were also increased their acidification, global warming, & the resource depletion potentials. Using the developed methodology and DST, system analyses were carried out in a range of predetermined scenarios to assess the methodology and the effect of variations in site-specific conditions. Systems analyses determined that for the scenarios considered in this study, CWs are the most cost effective system in terms of capital investment, operational expenditure, and from an environmental perspective CWs produce the least amount of harmful emissions, and require minimal resources when compared with electro-mechanical systems. The main constraint associated with implementing CW systems is the large surface area requirements. It was observed that at larger scales (4,500 – 5,000 PE) the electro-mechanical systems may become more economically competitive. For electro-mechanical systems, the general observation was that attached growth systems performed better at small scales, low loading, and high discharge limits. Suspended growth systems performed better at large scales, high loading and low discharge limits. The most influential site-specific parameter for suspended growth systems in terms of operational cost was the organic loading rate. The OLR is a direct measure of the oxygen required for substrate oxidation, and is therefore, directly proportional to energy consumption. Additionally, higher OLRs produce greater sludge volumes; require more chemicals; thus, increased operational costs. In attached growth systems the OLR has a greater influence on a system’s CAPEX because it determines the required growth media surface area. Similarly, CW systems are sized based on the OLR and discharge limits, which relates directly to their initial capital expenditure. The discharge limits were shown to have a greater influence over system selection. It was found that some systems or system configurations were more suited to removing ammonia and nitrogen compounds, while other systems required significant additional capital and operational expenditure. Only one system (AAO) had the capacity to remove phosphorus biologically which proved to be beneficial in scenarios with low P limits; however, all systems still required some chemical input for P precipitation. In the least stringent discharge limit scenarios, systems with high nutrient removal capacity were surplus to requirement. The most appropriate sludge disposal option must be determined on a case by case basis. It has been demonstrated that each treatment system will produce varying volumes of sludge in different conditions, and that these variations may be large enough to warrant the selection of alternative sludge treatment and disposal methods. However, the economic cost associated with each method is sensitive to location. The specific disposal cost values used in this study are nominal and subject to regional variation. External contractor costs may vary depending on distance to plant, sludge volume, concentration, or level of treatment prior to removal from site. From an environmental perspective the sludge disposal solution could be viewed as a series of trade-offs between resource-use and waste emissions. Application of sludge to farmland is a pathway to return nitrogen and phosphorus back into the ecosystem. The trade-off here is that in addition to the nutrients, potentially toxic metal and phenol concentrations are also being introduced to the soil. The reduction in sludge volume can have both positive and negative environmental effects. Reducing sludge volume will reduce resource use and transport emissions, but may also increase sludge metal concentrations. Furthermore, depending on the method of dewatering, there may also be additional environmental costs associated with energy and chemical inputs. The study highlighted the importance of considering CAPEX and OPEX together from a life cycle perspective. At small scales, the dominant component of the total LCC is the initial capital expenditure. As plant scales increase the OPEX becomes the more significant cost component. The exact point at which the balance shifts from CAPEX to OPEX depends on system and location. In certain scenarios, systems with high CAPEX and low OPEX had the more favourable life cycle cost. Conversely, in other scenarios, systems with low CAPEX but high OPEX had the more favourable life cycle cost. It is, therefore, conceivable that if system selection were based solely on CAPEX or OPEX alone, the most appropriate system may not be implemented. Similar assertions can be made about the environmental aspects of the study. The LCA approach used in the study provides a numerically traceable method of quantifying the potential for environmental impact. The objective of wastewater treatment is to reduce the eutrophication and aquatic toxicity potential associated with final effluent discharge, but assessing environmental performance based on these two categories alone does not provide the system’s full environmental profile. Only by applying the LCA methodology is it possible to gain an understanding of the environmental cost associated with the upstream and downstream processes. However, it is conceivable that project commissioners may be more interested in determining the actual impact. The CML LCIA methodology has limited site-specific parameterisation which makes accurate prediction of actual impact difficult for more regionally sensitive impact categories such as toxicity, eutrophication and photochemical oxidation. The LCA component would benefit from the addition of more site-specific parameterisation that allows for user definition in areas such as soil composition, and substance background concentrations. This would help close the gap between the potential for impact, and the actual impact.